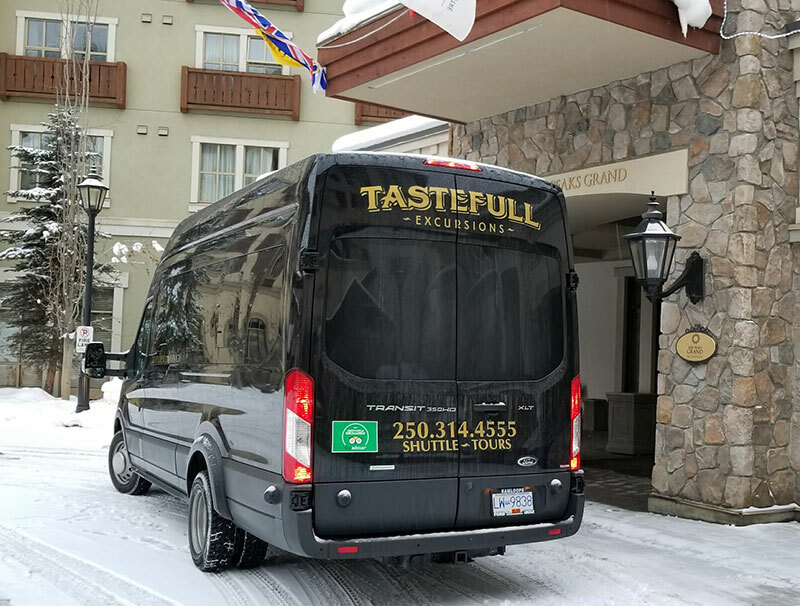 TasteFull Excursions is proud to be recognized as the Official Transportation Shuttle provider for Sun Peaks Resort with multi-day departures to/from Kamloops Airport to the many accommodations available on or near this fabulous, world-class, year-round resort. There are specific licensing requirements and insurance requirements that are MANDATORY for ALL SHUTTLE OPERATORS in Canada who are charging fees for transportation. TasteFull Excursions wants our guests to know that all legal requirement on behalf of our FLEET are met and current. That is our responsibility to you – our guests. TasteFull Excursions is a National Safety Code (NSC) registered carrier that adheres to the following standards - Section 37.29(1)(d) of the Motor Vehicle Act Regulations (MVAR) requiring commercial carriers to maintain a safety plan and scheduled vehicle maintenance plan applicable to the carrier. TasteFull Excursions exclusively hires professional drivers, who hold Class 1 or Class Four Unrestricted Commercial Drivers Licence in compliance with all government regulations. Drivers are also required to participate in BC's World Host program and understand their role as tourism ambassadors for B.C. TasteFull Excursions carries First Aid and Safety equipment in every FLEET vehicle.